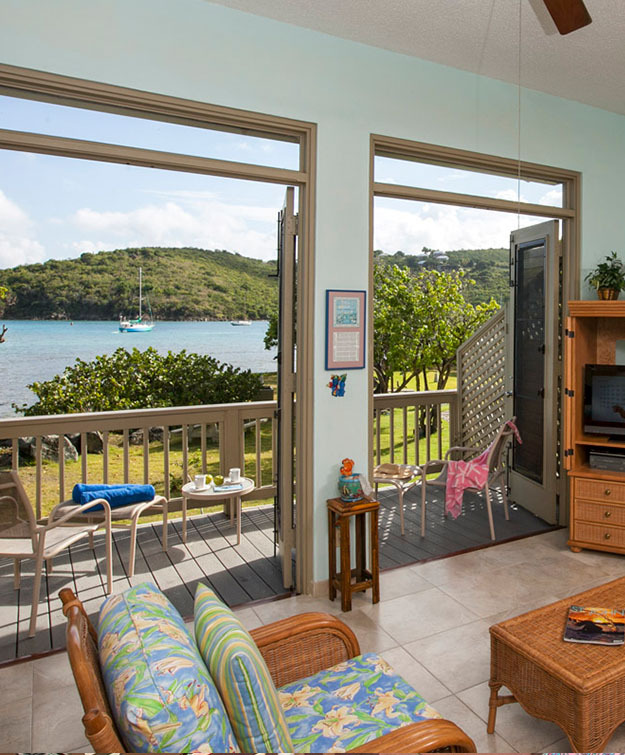 Two story with full bath downstairs and loft bedroom and extra half bath upstairs. 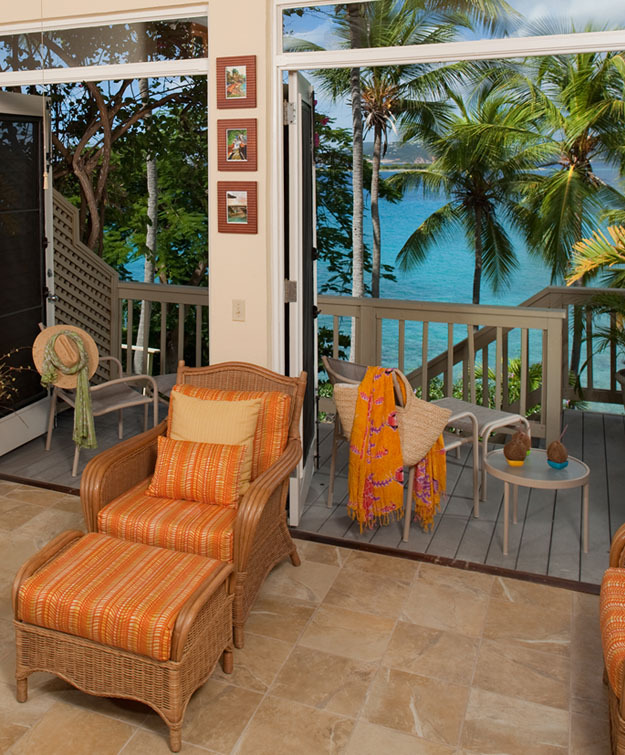 Queen sized bed and doors that opens onto a patio with views of the Caribbean. 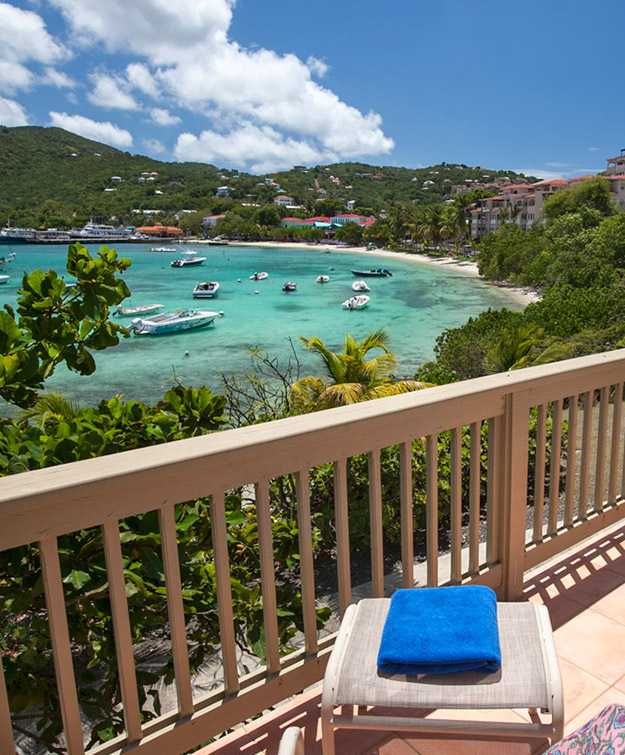 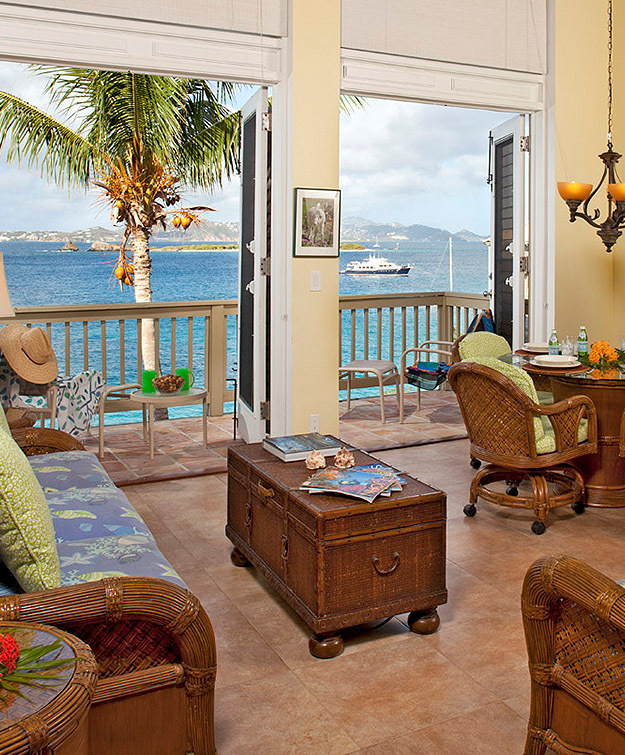 Queen sized bed and doors that open onto patios with views of Cruz Bay harbor.